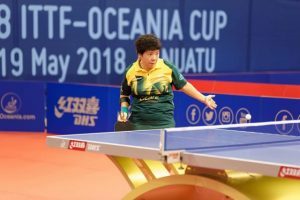 Jian Fang Lay has won the 2018 ITTF-Oceania Cup in Vanuatu, defeating Melissa Tapper 4-2 in a tightly fought final. Jian Fang Lay got the better start, rocketing to a 9-0 lead in the opening game. But soon Tapper found her groove and seemed well in the match as she brought the score to level at two games all. However, experience kept youth at bay and ran away with the match for a 4-2 win. 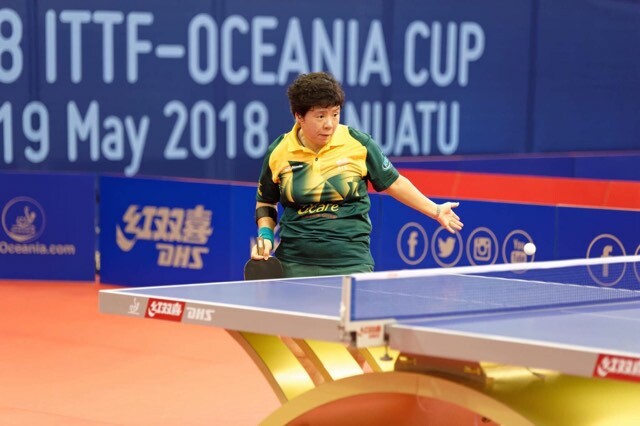 With the title Jian Fang Lay has now won the ITTF-Oceania Cup title for a fourth time and secured herself a ticket the ITTF World Cup in Chengdu, China later this year. “I’m very happy to go to Chengdu for the World Cup. I played state team’s match there once, but it has been more than thirty years since I’ve visited the city!” Jian Fang Lay. Meanwhile, Zhiying Cheng won bronze after defeated teammate Natalie Paterson in the playoff match. Cheng dropped the opening game but powered home to secure the last place on the podium with a 4-1 win.